Braiding underhanded can take some practice to master. Braids are a convenient style on their own and they are also the cornerstone of several other styles. Weaves are commonly sewn on to braids and extension hair can be added to braiding to create styles that add length. 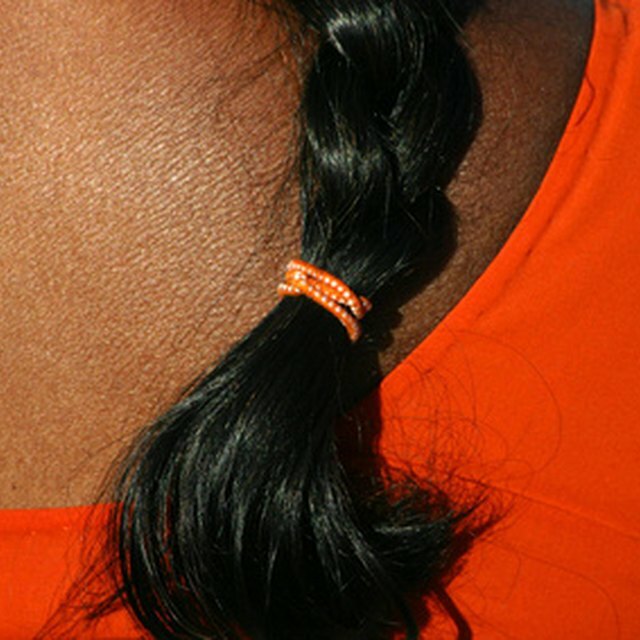 Braiding interweaves three strands of hair and can be done in either an overhand or underhand fashion. Most people learn to braid overhand, which produces braids that are puffy like in the case of French braids. Underhanded braiding is the method used to produce braids like cornrows that are intended to sit close to the scalp. Separate the hair that you want to braid into three equal parts. It can be helpful to hold two strands in one hand and to place the remaining strand in the other hand. Guide the left section underneath the middle section. Guide the right section underneath the new middle section. Repeat this process, alternating from left to right until you reach the end of your hair's length.